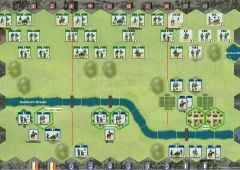 Acting on orders from Napoleon, Marshal Augereau’s VII Corps and Davout’s III Corps moved north from the Ukra River in Poland searching for Marshall Kamenskoi‘s retreating Russian army. 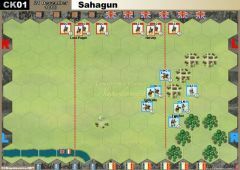 The French caught up to Prince Golitsyn and Barron Sacken’s 3rd Division resting in the area of two small towns Golymin and Kaleczin. 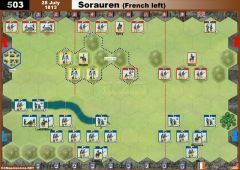 Augereau’s corps arrived first and attacked. General Heudelet’s 2nd French Division advanced from the west while General Desjardins’ 1st Division moved through the woods to the south. On the French right, General Morand’s division of the III Corps moved forward in an attempt to cut off the Russian retreat. 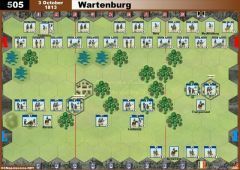 The Russians were outnumbered and took heavy casualties as they fought a retreating withdrawal. Their intent was to hold out until nightfall to make good their escape to the north, and they succeeded. The French noted with admiration the Russian troops obedience to orders. 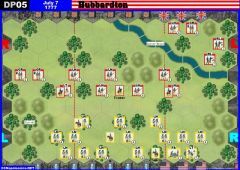 Their survival depended upon rapid retreat, and even when fired upon at close range, they ignored the casualties and kept marching instead of halting to return the fire. 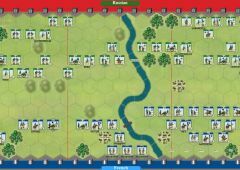 • The Russian player receives one Victory Banner for each Russian unit, excluding leaders, that exit the battlefield from any hex on the Russian baseline in the Russian army’s left section. 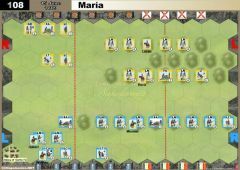 • Pre-Battle Mother Russia Roll rule is in effect. Count the Cossacks in the scenario Golymin (also in other scenarios, in which "off board" evading units counts as VP), as Victory Point too, because they don´t count as Victory Point if they are destroyed? 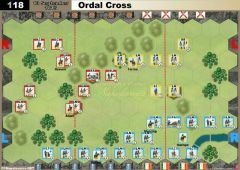 Yes, a Cossack unit will count as 1 VB when ordered to exit the battlefield in such scenarios. 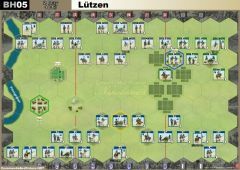 Note, if units must retreat, they can´t use the retreat to leave the battlefield and must stop on board edge and loose blocks as normal, for each hex, they can´t retreat. But as an official answer, we have to play that way. 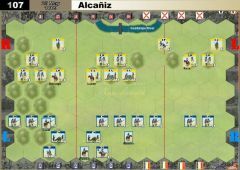 Question: Count the Cossacks in the scenario Golymin (also in other scenarios, in which "off board" evading units counts as VP), as Victory Point too, because they don´t count as Victory Point if they are destroyed? 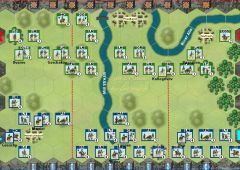 What happens if the russian player gets cossacks when rolling PBMRR ? 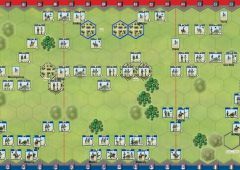 Are these units counting for VM when evding from the left russian side like the others ? Am I right (or wrong) ? played this one out this evening. Russians won, but it was 8-7. French must attack with gay abandon, no prepared assaults, just on the run. but i assume, also in the russian expansion are a few outbalanced scenarios. Russian opening hand LGM is a game winner in this one.